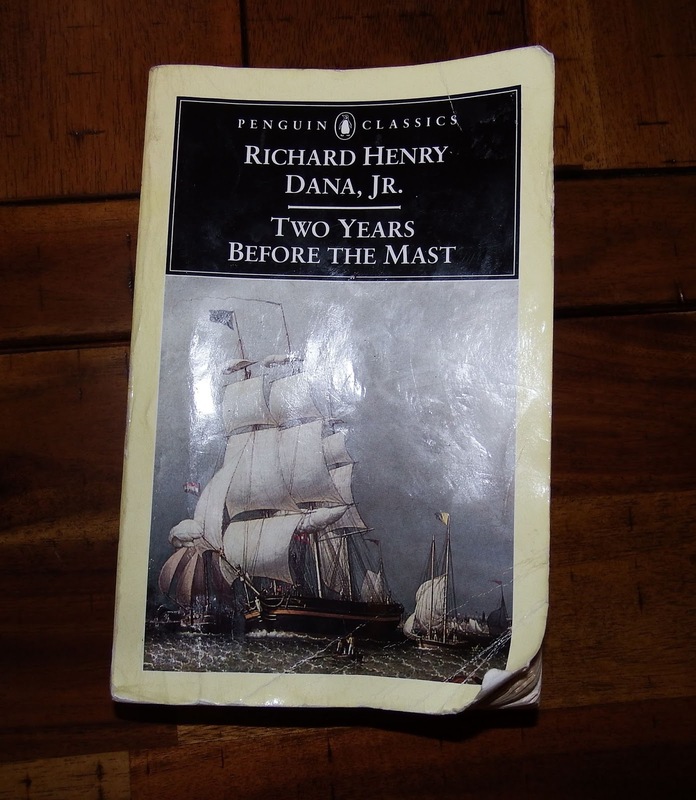 Dana's "Two Years Before the Mast" is considered a classic and often billed as such. In my experience when a book written in the 19th century is billed as a "classic" be prepared for overly verbose descriptions and lots of moralizing commentary. That was not the case here. Dana's book is an easy and enjoyable read. There were many reprints of Dana's book, several in his lifetime. 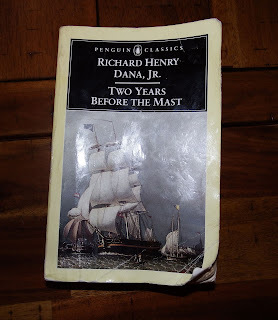 Apparently as time went by Dana's memories of his time as a sailor softened, and later editions were more romantic and less harsh than the original. I was fortunate to pick up the Penguin classic edition, which is a copy of the original 1840 edition. Dana dropped out of college due to eye problems and, in 1834, signed on as a common sailor bound for California from Boston. He gives great descriptions- around Cape Horn twice, the hide trade on the California coast, Sandwich islanders as sailors and the hard lot of a common sailor. Dana was obviously proud of becoming a competent sailor. He sometimes gets overly indulgent in his nautical descriptions of trimming sails and it often seems he is just showing off. Although the book was taken from experiences after the time of the Acasta there is very little that actually dates it. It is a wonderful glimpse into the life of a common sailor on a merchant sailing vessel and I highly recommend it for any Acasta who's persona back-story includes time served working aboard a merchantman and/or time on the California coast.